Are you ready for a relaxing vacation whenever you want? 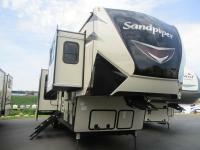 Well, come step on board this Sandpiper fifth wheel. With features such as a kitchen island with pendant lights above, five slides, plus a closet that has been prepped for a washer and dryer, you cannot go wrong when you choose to camp with this model! 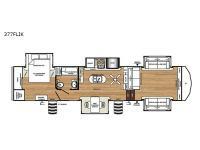 In the front separate living room there is an entertainment center along the front wall with a 40" flat screen LED HDTV and a fireplace. 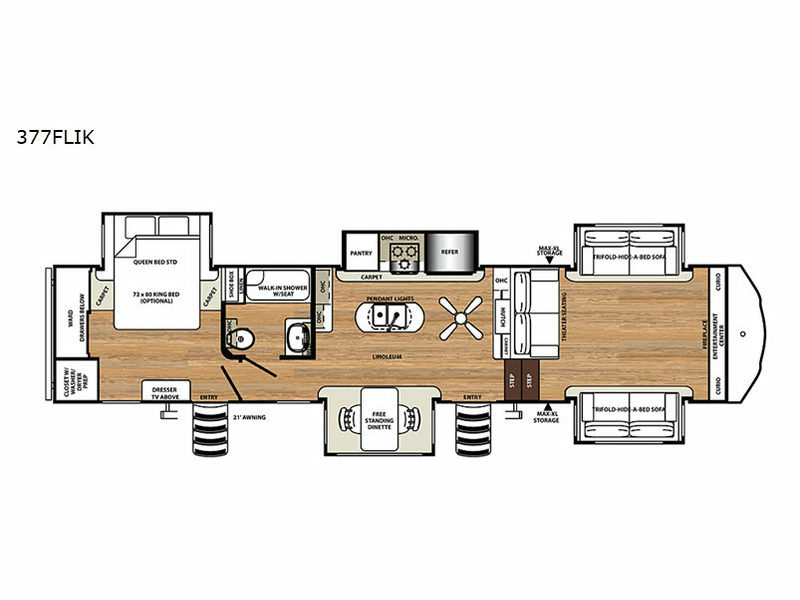 With two entry doors, you can have easy access into the kitchen area or the rear bedroom, and the two doors make it convenient to slip out in the early morning to go fishing without waking up anyone else.